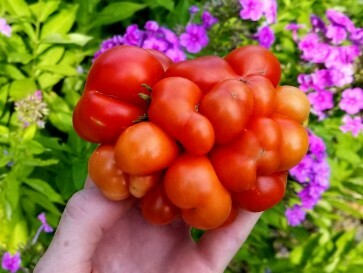 The most novel tomato we have seen, this tomato is like a big bunch of cherry tomatoes all fused together. 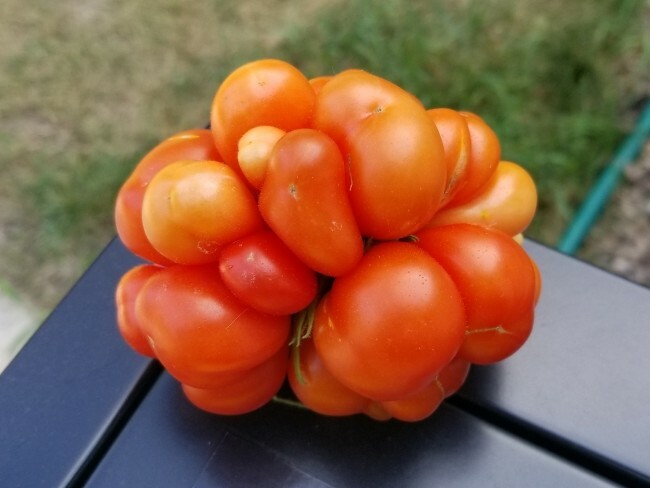 The most unique looking tomato I’ve seen! 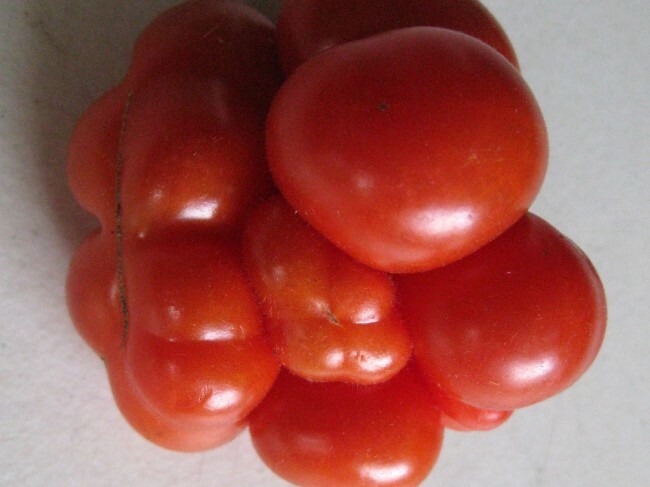 This tomato is like a big bunch of cherry tomatoes all fused together. 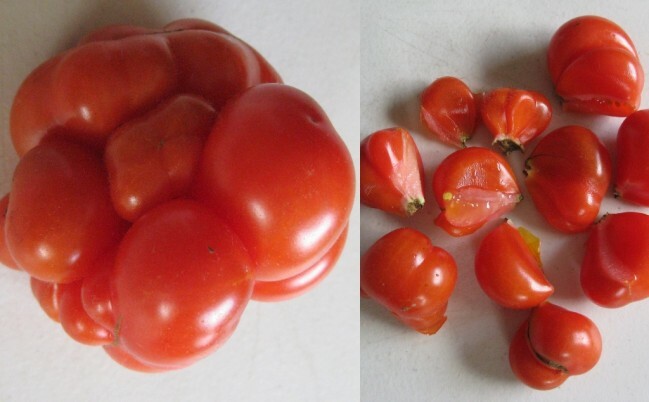 Also called “traveler tomato” (“reise” is German for “travel” or “journey”) for the ability to tear it apart a piece at a time, with no need for a knife. 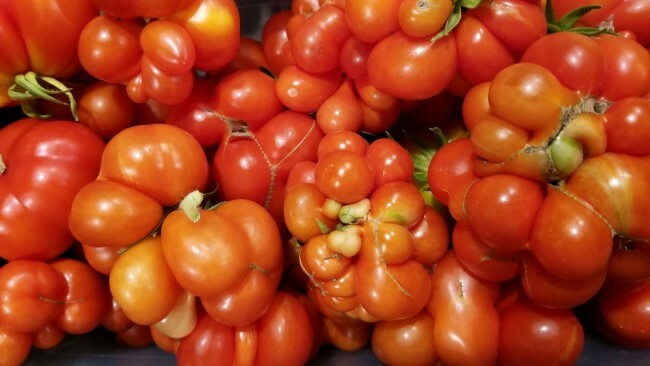 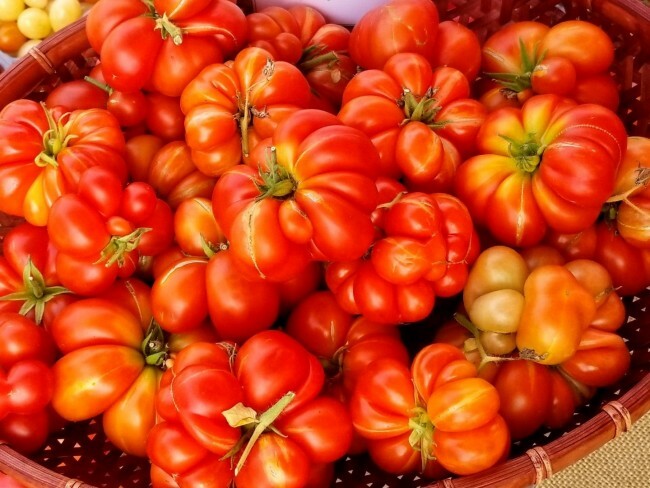 This type of tomato traces its roots to Central America where the native people would carry traveler tomatoes on trips, to eat as they walked. 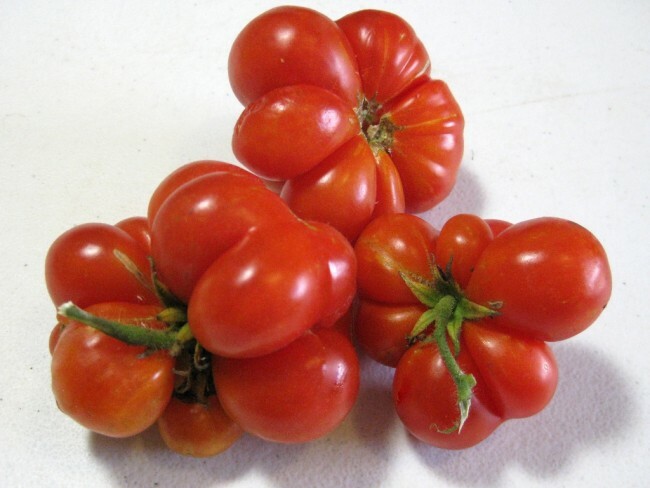 Bright red tomatoes taste rather sour, strong and acid. 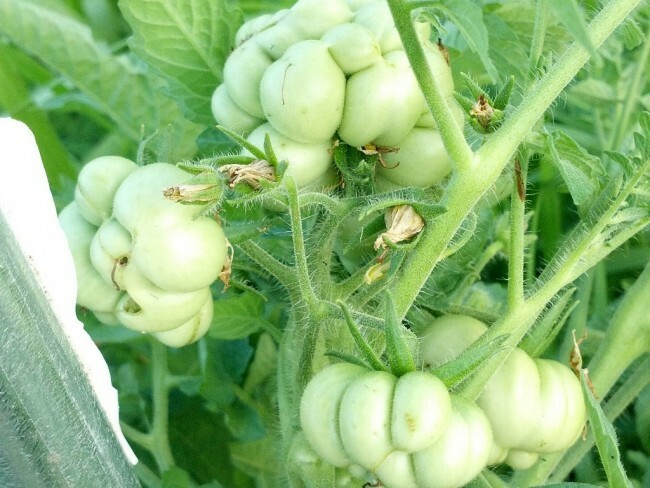 This one will definitely start conversations in your garden.